With the exception of a minority of Russell Group universities the vast majority of UK universities which are active international student recruiters make use of student recruitment agents. The reasons for using agents are clear: they’re effective in helping universities to meet volume targets, they give access to markets that are sometimes difficult to operate in directly, and because in some markets it’s a normal expectation for a prospective student to use an agent or educational counselling service. The role of the student recruitment agent has changed significantly over the past 10 years or so. Initially, most agents worked directly for their University partners – the University brands were key and the agent was simply an extension of their usually small number of partners’ brands. Their services to prospective students were generally free with the universities making a direct contribution to agents’ marketing costs and paying commission on students successfully recruited, traditionally 10 per cent of the first year’s tuition fee. Universities needed agents and agents needed universities – it was a partnership but where it was clear that the Universities had the upper hand – they owned the brands being promoted through the agents and the agents were therefore nothing without the universities. We and agents have come a long way since those early days to such an extent that many agents as we call them, or educational counsellors as they might see themselves, becoming brands in their own right (for example The Chopras in India or UKEAS in Taiwan – or now cross region agencies like IDP). In addition to direct student recruitment agents now offer a whole range of other services to prospective students – from student counselling and placement services to pre-departure briefings, English language classes, standardised tests, flight and accommodation bookings, even SIM card sales for mobile phones, and careers guidance and job placement services on their return home. Agents now earn their income from commission (at various levels), incentive and target bonuses and increasingly on the range of other services they offer students. Some even charge the prospective students for whom we then pay commission for the ‘counselling’ they are given on our behalf in the first place. And of course many agents now represent lots of universities rather than just a select few and provide study options in a range of countries rather than acting as specialists just for the UK. According to the Australian Universities International Director’s Forum annual benchmarking exercise for 2010 (The Alan Olsen report), 57.6% of all new international student enrolments to Australian universities came through agents. The equivalent figure across those UK universities which took part in a similar benchmarking exercise in the UK was 33.4% but that was for 2005 and we all know that the use of agents has increased significantly since then, partly driven by us and the need to achieve higher targets, partly pushed into agents’ hands by the British Council which no longer offers direct counselling and by the UKBA because of the need for greater in-country handholding through the visa application processes. In Nottingham’s case the percentage of students recruited through agents has increased from 19% of the intake in 2005 to 25% in 2011 with an annual commission spend well in excess of GB£1 million. In addition to the volume and percentage growth in students coming through agents our costs have further increased by the Inland Revenue’s decision to charge VAT on commission payments (the so-called reverse charge) – so an automatic increase of 20% on our commission costs which, as far as I can tell, most, perhaps all UK universities have simply swallowed. So, where do we go from here? We continue to recognise that agents are an important part of the marketing mix and who need to be valued. But we need to rebalance the relationship between agents and universities and above all we need to avoid the arms race escalation in commission costs. If we continue on the current recruitment cost trajectory (marketing costs, agent commission and specialist support) International Office directors are going to do themselves out of jobs as the margin on international students decreases. More important though than the costs is being sure that the way we work with agents and others to whom we pay commission is undertaken in a professional manner and is consistent with both the UKCISA Code of Ethics and the QAA’s guidance on international students studying in the UK. • Is our work with agents consistent with the values of the UKCISA Code of Ethics? • Does it meet the requirements outlined in the QAA Guidance on international students? • Would you be happy to publish on your web site the names of all of those organisations and individuals (agents, school counsellors, schools, etc.) to whom you pay commission? • • And if not, why not. • And for those that pay commission to schools and school counsellors, how would you feel if your son or daughter was at a school where the advice on university applications was influenced by which universities pay that school a fee rather than which was the most appropriate university for them? 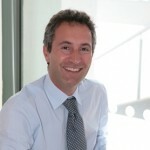 Vincenzo Raimo has been director of The University of Nottingham’s International Office since 2007. Great post. Very transparent. Great questions at the end. Thank you, Vincenzo. If Nottingham Uni paid in excess of £1 million to agents in one year, at a rate of 10%, that means the University has generated an income of £10 million in that year and will do so for the next 3 years (assuming all the studemts applied for a 3-year undergraduate programme). That makes it an average of 3%. Isint that how much we pay to them credit cards companies to use their card payment machines on transactions? So, Y complsin about agents? Besides, can any University measure the real financial impact agents jobs have on their recruitment drive? How many students will apply directly to the Uni as a result of the agent’s hard work? Hope his agents dont come across this article! Surely the simple answer would be to stop working with agents wouldn’t it? Or how about setting up an in country presence to cover the work of agents, if the university really is so serious about taking the so called “power” away from agents? Many agents work closely with the receiving institution and in some ways are regarded as valued partners; I am sure that there are enough internal checks and processes at the university to ensure that a genuine and fair agent/partner is appointed. After all it is the university that sets constantly increasing targets for international student numbers, agents wouldn’t have this imagined “power” if many universities/colleges didn’t rely so heavily on overseas income…keep your own house in order before shining the spotlight on others. Really interesting and transparent post, as another poster said! I’d look at this from a free market perspective and say that in terms of supply and demand, the current situation is that University demand for international students is higher than what can be supplied by agents. That’s why the agents have so much power. As for redressing the balance of power, you need to reduce your reliance on international students. However with the increased tuition fees and economic problems at home, that doesn’t look like a plausible strategy. Perhaps bypassing the agents altogether and setting up regional recruitment offices could be your best bet. Although an expensive investment, perhaps it’s a better long-term strategy – if you truly believe international student growth will continue. Do you realize, how much it takes to find students you need so badly? Just watch the growing competition from the newcommers , top class, highly rated foreign universities offering quality university coures in English. You may be good in education and research and development. Are your commercial skills and business experience as good as that of well performing agencies?